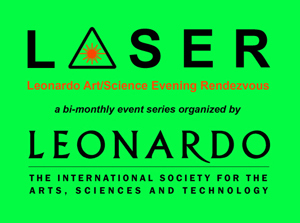 Leonardo ISAST and Stanford University invite you to the next Leonardo Art/Science Evening Rendezvous, an evening of art and science presentations. The agenda includes UCSC Prof. Jennifer Parker who will present new works created by artists and scientists from the UCSC OpenLab Network, also home to the DANM Mechatronics project group. More details at http://www.scaruffi.com/leonardo/dec2012.html with links to the presenters' websites. Before or after the break, anyone in the audience currently working within the intersections of art and science will have 30 seconds to share their work.